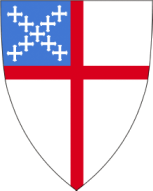 On Sunday February 7, 2016, the 272nd Annual Parish Meeting of Christ Episcopal Church was held, following the 10 a.m. worship service. The meeting and light brunch was attended by 70 parishioners and the 2015 Annual Meeting Reports were distributed. At 11:50 a.m., the meeting was called to order by Rector Harrison West, along with the invocation. Senior Warden Pat Daunic declared a quorum was present and the meeting began.The Voting List and theMinutesof the 2015 meeting were presented and adopted. The Nominating Committee’s Slate of Candidates was presented. With no new nominations from the floor, the slate of candidates was elected by unanimous acclamation. The following candidates were elected: Parish officers (all for a second one-year term, of a possible three): Senior Warden Pat Daunic, Clerk Diane Kyle, and Treasurer Ted Sands; and Junior Warden Susan Shackford (for a first one-year term of a possible three). New Vestry members for the Class of 2019 (terms ending at the February 2019 Annual Meeting): Susan Leonard, David Oshana, and Peter Marks. Delegate to Diocesan Convention:George Kral(for a three-year term). Nominating Committee for the 273nd Annual Parish Meeting: Susanna Bryan, Lisa Ste. Marie, Diana Stovall, and Paul Whitman. The rector and wardens are membersex-officio. Recognitions: The following parishioners were recognized and thanked: retiring Vestry members Alicia Bacon, Chris Robinson, and Susan Shackford; former Junior Warden Ted Ervin, and retiring Diocesan Convention delegate Jean Valentine. Harrison also thanked Melissa Lamoreaux, Dirk Gross, and Ed Seibert for their volunteer hours overseeing parish finances and developing the budget. Committee reports: The reports contained in the 2016 Annual Meeting Report were received and accepted. Treasurer’s report: Ted Sands reported that the year started slow, but by controlling expenses and generous end-of-the-year giving, we ended the year on a strong note. The 2015 year ended with the operating fund $15,236 in the black. Budget: Ted Sands reported that, thus far, we have $179,500 in pledges from 93 parishioners, and at the present time 13 people have not yet returned their pledges. Expenses will be higher this year due to the following: The hiring of a part-time Sunday School director, the need to complete two years of parish audits, Harrison’s sabbatical, and the increase in pension, payroll taxes, and insurance. The Treasurer’s Report and the Finance Committee’s Report were accepted and adopted. New Business: Amended and restated Parish Bylaws were accepted and adopted as presented. Home Gatherings: Pat Daunic explained that the Strategic Planning Committee is involving the parish in a process to discern “God’s Call to Us -- Now and Into the Future.” The first step was to begin conversations during nine home gatherings, which accommodated 90 parishioners. The topics focused on these questions: “What brought you to Christ Church/What is most important to you?” “What are the concerns for the parish?” and “What do we need to change?” The following concerns ranked the highest during the home gatherings: More community fellowship, the need for a Sunday School director, more Altar Guild members, financial concerns, and a parish directory. The Strategic Planning Committee will continue to work toward addressing these concerns, and will keep parishioners involved with our progress. Pews: Thanks to the labor of Gene Bishop, James Austin-Small, and ShewardHagerty, we obtained eight pews from the former Grace Church in Norwalk at no out-of-pocket expense; they will replace the old pews in the balcony. Parish Hall: Lisa Ste. Marie, representing the Evening Episcopal Church Women, gave a report on the EECW’s proposals to enhance the parish hall. She explained that the EECW is engaging architect Karen Patriquin to help plan ways to make the space more useable for parish purposes and for use by outside groups -- for example, wedding receptions, bridal showers, and parties. Karen is designing storage for tables and chairs, choir, ECW, Sunday school, and AA. The storage units and window seats will be designed to accommodate various storage needs. The date for the 273nd Annual Meeting will be February 5, 2017. The meeting was adjourned with a benediction at 12:45 p.m.